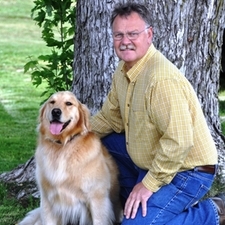 Allow me to introduce myself, I am Dr. Mark Handlin, veterinarian/owner of Heartland Veterinary Clinic. I grew up on a family farm in the Kanopolis Lake area. My wife, Cathy, and I have two children, Mandi and Aaron. Aaron attends McPherson High School, he keeps us busy with junior rodeo, band activities, hunting and fishing. Mandi is attending Washburn University and is enrolled in nursing school. Our family pets consist of three dogs, Benelli, Lily and Remi; three horses, Snickers, Gus and Collin; and a small herd of hereford cows. 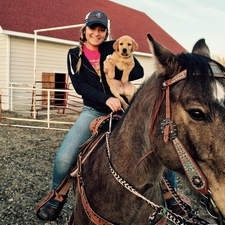 Liz lives outside of Marquette on a small hobby farm with her two children, Kaden and Kinsey. They have a menagerie of animals including: one australian shepard, an italian maremma sheepdog, a blue heeler, two horses, five cats and a flock of guineas. chickens, ducks, and geese. She also raises mini juliana pigs for house pets. 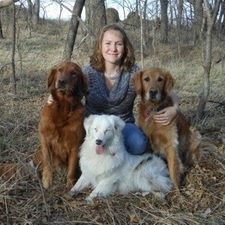 Liz teaches puppy and dog obedience classes in the evenings and she is a CGC Evaluator for the American Kennel Club. When she isn't working with animals, she enjoys boating, water skiing and spending time at the lake. She also has a passion for hunting, especially turkey and geese, and sport clay shooting. Jess lives in McPherson with her husband Terry and their two children, Ella and Keegan. 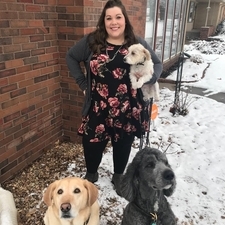 They have three dogs: Dublin, a Yellow Lab, Evee, a Saint Berdoodle, and Oliver, a Jack Russell Terrier and two cats: Joey and Jax. In her spare time, she enjoys photography, gardening and attending and supporting her childen and nieces/nephews in all of their events and activities. Nicole lives in Hutchinson with her husband, Travis and their daughter, Kimberly. They have three dogs; a rottweiler named Chunk and two australian shepherds, Snickers and Titan. She enjoys remodeling their 100 year old home and spending time with family and friends. 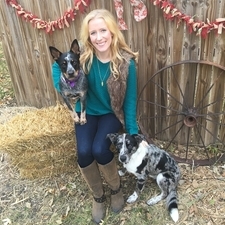 In her spare time, Nicole enjoys being outdoors, cooking, and cheering on the Royals and Jayhawks. Caitlin lives in Marquette with her husband Kyle. They have three dogs: Remi, a Blue Heeler, Cali, a Catahoula, and Daisy, a Great Pyranese. In her spare time she enjoys spending time outdoors; kayaking and gardening. Teagan lives in Hutchinson with her boyfriend, Dylan. They have four dogs: Scout, a Blue Heeler, Trooper, a Jack Russell Terrier, Finn, a Yellow Lab and Tuff, a Bernedoodle. They also have several farm cats that have claimed them! 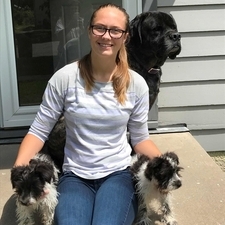 Teagan is currently enrolled at Colby Community Colleges in the distance veterinary technology program. 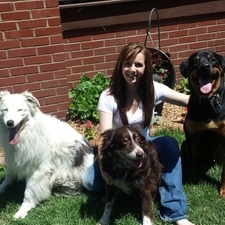 In her spare time she enjoys spending time with her family and fur-children. Diane lives in McPherson with her husband Eric.They share their home with their two cats, Lucy & Mr.Tumnus. 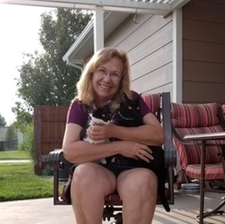 During the summer if Diane is not watching Royals baseball she will be gardening, playing with one of her 10 grandchildren,bike riding, or trying out new recipes for Eric.She loves KU basketball which we shall not hold against her. Brooke lives in McPherson with her parents and her younger brother. They have 3 dogs, 2 parakeets and 1 hamster! In her free time she enjoys bowling on the McPherson High School Bowling League and reading. She plans to attend college to become a Veterinarian! Dr.Watson arrived at the clinic in May of 2016. He came in as an injured stray and somehow became the clinic cat. 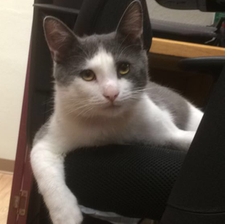 His hobbies include: hunting flies, faking injuries for attention, stealing highlighters, opening bags of dog food, jumping over the reception desk like a ninja, taking naps, annoying the staff dogs, and really just being an overall nuisance. Dr.Watson has been a great addition to the staff. Has been with HVC since May 2016.